The new Silver Soldiers Collection from Heads or Tails Coins is an exciting opportunity to collect a unique set of toy soldiers. These aren’t the lead soldiers your grandparents used or the plastic green army men you played with as a child. 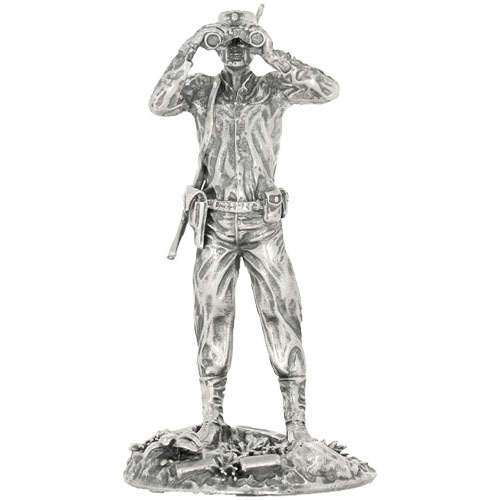 These hard-charging soldiers are ready to defend your desk or collectible case as silver statues. 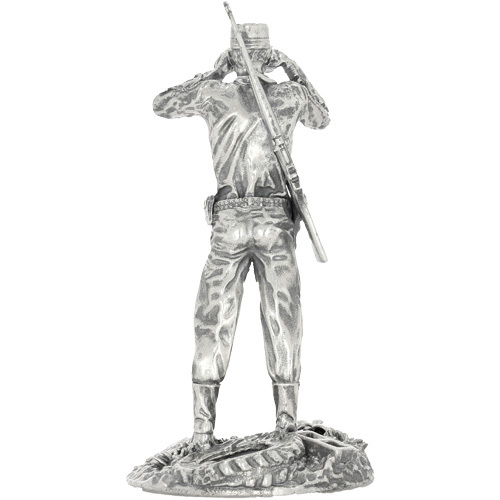 Today, 4 oz Silver Antique Finish Soldiers Collection Captain Troy Statues are available to you online at Silver.com. Available to ship to you inside of cardboard boxes with an included Certificate of Authenticity! Second statue available from the Silver Soldiers Collection! Casting is limited to 1,000 statues only! Consists of Four Troy ounces of actual silver content. Figure stands 8.25 cm tall and depicts a captain leading his company in battle. Individual serial number and purity laser-etched onto the base. HotCo is well-known for applying a unique antique polish to its silver statue collections, and that includes the men of the Silver Soldiers Collection. Each one has a proprietary antique polish applied that gives it a rustic appearance and heirloom quality that ensures it will make the perfect heirloom for future generations. All 4 oz Silver Antique Finish Soldiers Collection Captain Troy Statues are available to you today at Silver.com with individual protective packaging. The statues arrive inside of cardboard boxes with protective packaging. The statues include a numbered Certificate of Authenticity. The COA includes the same number laser-etched onto the base of your individual statue. 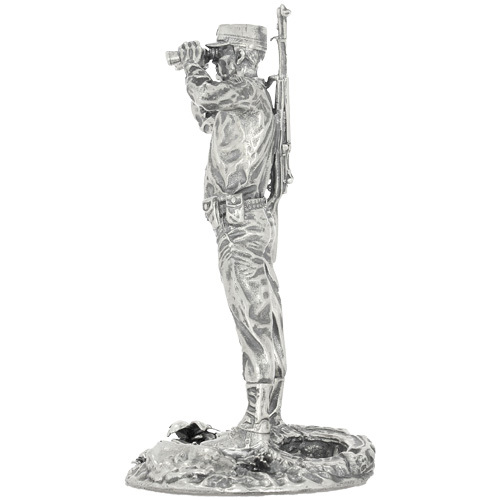 The 4 oz Silver Soldiers Collection Captain Troy Statue depicts a company commander. The typical role of a US Army captain is to serve as a company commander with 60 to 200 soldiers in their charge or can serve as a battalion staff officer. In the latter role, captains assist a battalion commander in the training of troops, but Captain Troy is the former. He is in the field overseeing the tactical operations of his forces as they work to take on the enemy. Captain Troy contains 4 Troy ounces of actual silver content in total and stands 8.25 cm tall. The Silver Soldiers Collection statues from HotCo contain .925 silver content. Captain Troy Statues are part of a larger collection from HotCo. 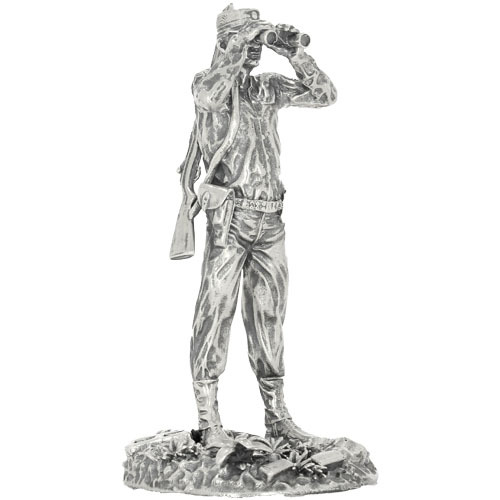 Available individually, you’ll also find the 4 oz Antique Silver Soldiers Collection Captain Troy Statue in the 1st Battalion Collection that includes Stovepipe Sterling, Arty Red Leg, and a Howitzer Cannon with Artillery Operator. Please don’t hesitate to reach out to Silver.com with any questions you have when buying silver. You can call us on the phone at 888-989-7223, chat with us live online, or email us directly.